Since the boom of the e-commerce (online shopping) industry, larger cities have become attractive warehouse and distribution centers. However, wage increases in cities may soon take a hit to some e-commerce businesses. With the minimum wage rising, one report states that large operation warehouses may see an annual rise in labor cost of $1 million or more. Wage increases will affect small businesses in particular, since they rely on cheap labor. 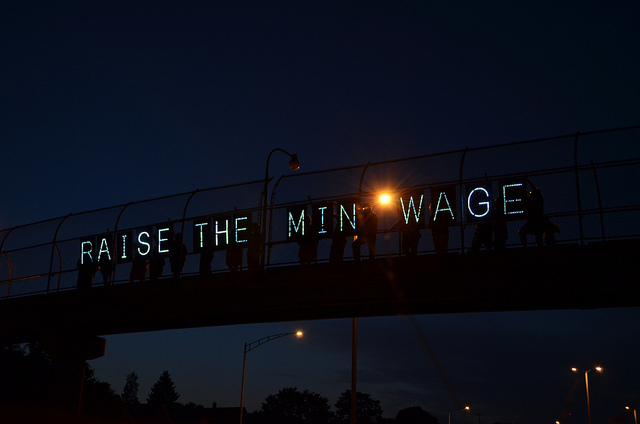 How Does the Minimum Wage Affect E-Commerce? 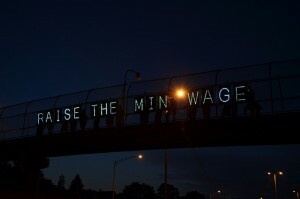 Cities like Los Angeles, San Francisco, and Seattle have all raised their minimum wage far beyond the federal minimum wage of $7.25. Other cities and states are now following that lead. Because of this, it’s likely that many businesses will have to find a way to cut costs. This could mean huge workforce layoffs and downsizing, replacing people with machines. According to Spencer Levy, CBRE Inc.’s head of research in the Americas, “E-commerce and other businesses that are tied to these dense locations will see the greatest impacts.” These impacts will especially increase during the holiday season, since online shopping is popular. However, a typical warehouse worker in the e-commerce industry makes an average of $12 an hour. This is well above the minimum wage in most areas. So large e-commerce businesses and other industries can breathe a sigh of relief. According to the Wall Street Journal, most e-commerce business costs are in transportation, about 50%. Labor costs only account for 20% of the budget. And most companies have cut a lot of their labor cost already. One way they’ve done this is by using automated computer systems for doing tasks such as accounting. So if you are worried about your e-commerce company moving, you can relax. Distribution centers can’t always relocate to areas with the lowest minimum wage. However, shipping costs may increase instead. For now, it seems the e-commerce industry will continue to grow while the minimum wage increases. « What is Magento? A Brief History	» Is Facebook Trying to Get into E-Commerce?